Nose: Round and balanced notes, oak hints, plum and almond. A rich rancio comes in, some leather aromas due to its length of ageing. The Borderies spirits in this blend lead to a floral fragrance. Eye: Its amber coloring indicates a great cCgnac. 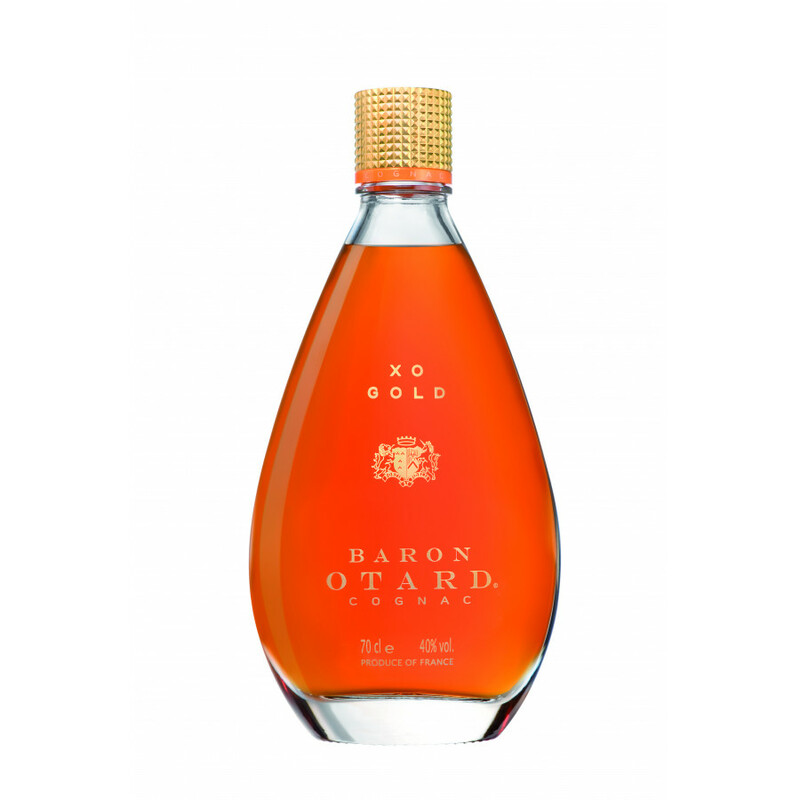 Baron Otard XO Gold is an older member of the Cognac house. Belonging to the ‘Extra Old’ category of beverages, it is a multi-award winner with a blend of eaux-de-vie deriving from the exclusive Grande Champagne, Borderies and Fins Bois regions. With 50 percent of its eaux-de-vie coming from the Grande Champagne region, it is created from the finest terroirs in the region and is renowned for its deep golden and vermilion color following years of careful maturation. The youngest of the blend is aged for at least 6 and a half years, and is aged in the Chateau de Cognac cellars in classically Limousin oak casks. You are sure to be indulging in one of Cognac’s finest histories when enjoying the Gold XO. It is recognized as a particularly fantastic Cognac, having won numerous IWSC awards throughout recent years, and is the original of the XO Gold collection. As with all fantastic Cognacs, the Baron Otard XO should be enjoyed neat, and optimally between 17 and 20 degrees Celsius as an after dinner beverage. The decanter is sumptuously shaped into a teardrop, with a delicate gold embellishment to match its name. 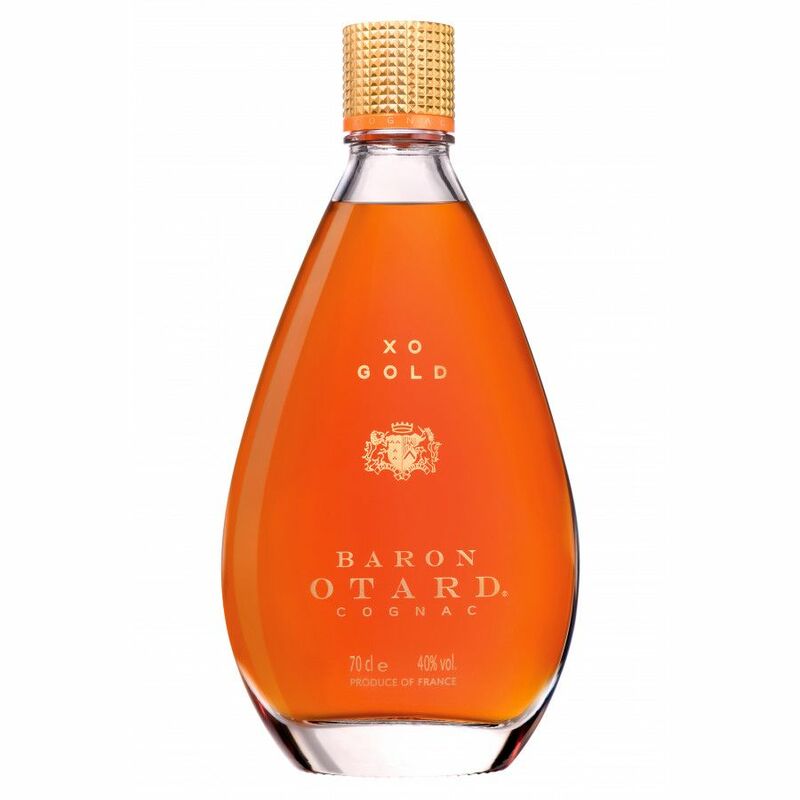 There is also a Baron Otard XO Gold Precious Edition which is available in travel retail and duty free only. Created in the same style as the original decanter, instead this bottle is made with an all over gold color with a one litre bottle to replace the original 70 cl. Read our blog and find out more about the world of Baron Otard and this XO cognac. For example, it featured as one of our top 10 XOs for 2016, or as one of the top cognac Christmas gifts for dad. In another post, we explore the Baron Otard cellar in the historic chateau. The Baron Otard XO has collected various awards throughout recent years. A highly acclaimed Cognac. To learn more about the Otard Gold Cognac’s presence in this competition, you can read more about it on our blog. The esteemed Cognac maison of Baron Otard has a far reaching and fascinating story to tell, and all in the setting of the Chateau de Cognac. Named after the Baron Jean-Baptiste Otard who was born in 1763, the house is one of the finest in the region. The chateau was built originally to defend against invasions from the English and the Vikings in France at the end of the 11th century, and then it was rebuilt to house the Valois family in the 15th century. Francois I, the future King of France (also known as Francois Valois) was born in this very chateau in 1494. It was founded as a maison de Cognac in 1795 by Baron Otard. He believed it to be an optimal environment in which to age Cognac, due to the thick walls and numerous rooms. After being exiled from France, Otard returned to the town of Cognac to begin the art form of blending eaux-de-vie. For more information, find out more about Norway’s connection to the world of cognac, and, in particular the house of Otard on our blog. We’ll give you a clue… Baron Otard was a Viking! This cognac is woody and dry. Let it breathe for 15min. and the aroma and flavors get better...the second glass tasted much more interesting than the first “premature” one. I tasted this in a blind tasting against 5 other XOs and must say: The palate is pretty light and the finish a bit more intense. Gets a solid rating from me! I have a bottle of XO Cognac Otard au Chateau de Cognac with the boxe,and onthe bottle and also the boxe it says United Nations.I am from Canada and I want to know where I could sell it and how much is it worth.